THHG Book Club: The Great American Ale Trail. 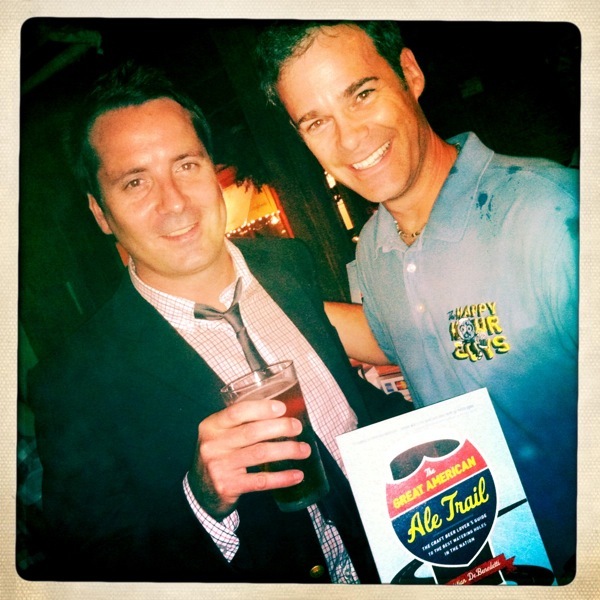 Author Christian DeBenedetti and Communicator Guy. Howdy! Artsy Guy here. Uploading some shots from a book signing. We're fancy. 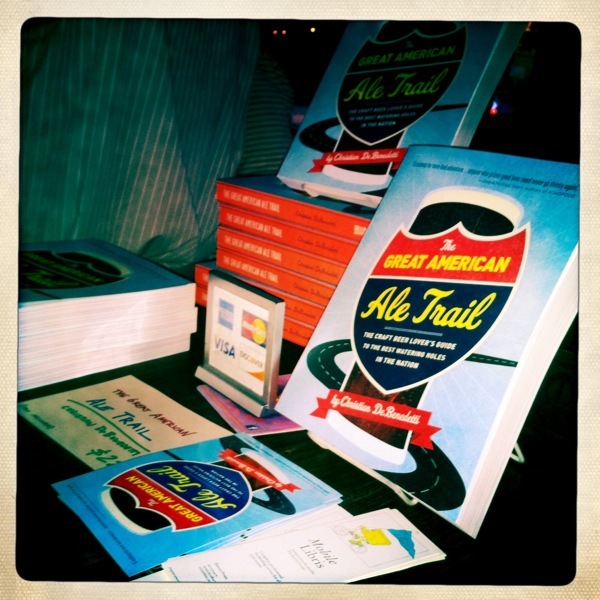 Seriously, we're totally diggin' Christian DeBenedetti's new book, The Great American Ale Trail, aren't we, Jimmy the Communicator Guy(TM)? Ahem! Communicator Guy here, reporting that Artsy Guy takes some great Hipstomatics, and that this event here at NYC's Blind Tiger (one of the Holy Grail beer bars of the entire Universe) is just damn lovely. I've already begun to dive into the book and I'm here to tell you it's awesome. A must-read. What say you, Artsy? The Great American Ale Trail. I say "YEA!" Here's a guy who has really suffered for his art, traveling the country to make note of the best places to procure the craft suds. Can you write off your treatments for "barfly elbow", Mr. Christian? I hope so. You deserve it. This is such a resource for the traveling craft beer lover. And Garrett Oliver (brewmaster of Brooklyn Brewery and author of The Brewmaster's Table) seems to agree. Right, Communicator? Communicator taking notes at The Blind Tiger. He does indeed. And now Christian is speaking of his first days in NYC as a journalist (he arrived TWO DAYS before 9/11) and relating that were it not for great craft and great craft bars like the Blind Tiger, he would never have found his way as solidly as he has. Craft beer, everyone. It's not about the beer. IT'S ABOUT THE PEOPLE! Well said, Artsy. Well said. Check out this book, y'all. And, next time you have a chance, buy a great craft beverage for someone, whether it be a good friend, or a total stranger. Make this community, this worldwide group of Good People, even better than it already is. CHEERS!